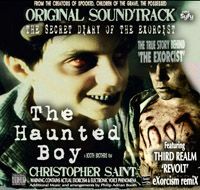 THE EXORCIST FILE THE HAUNTED BOY : Interview with Christopher Booth. The Haunted Boy: The Secret Diary of the Exorcist. Interview with Christopher Booth. The Haunted Boy: The Secret Diary of the Exorcist. Interview with Christopher Booth. 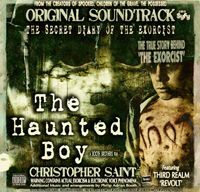 The Haunted Boy: The Secret Diary of the Exorcist. May 26, 8:29 PMParanormal TV/Web Site Examiner Terra King. The Booth Brothers, Christopher Saint and Philip, have a new documentary set to premiere in October. 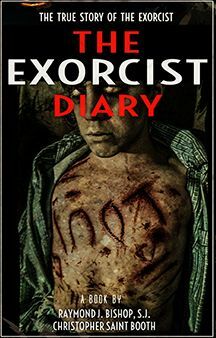 'The Haunted Boy: The Secret Diary of the Exorcist' is based on the true story that William Blatty based his book, 'The Exorcist' on. During an interview with Christopher he discussed the new documentary, their past documentaries and how scary the truth is. 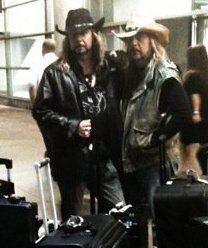 What sets the Booth Brothers aside from all other paranormal investigators? Christopher and Philip don't have a weekly show. They don't have to produce results for ratings. Their documentaries (and fictional films also) take long days with long hours to shoot. Before they even start shooting there is the research. The Booths are nothing if not thorough. TK-I know you're a musician as well as a filmmaker. What education do you have in this area? CB-We learned everything by self teaching. I'm always rehearsing my music. (TK-Christopher does the music for the films.) I'm was very influenced by the James Bond movie music. Our father was a home made inventor. TK-Regarding "The Haunted Boy: The Secret Diary of the Exorcist".Is there really a diary and do you have it. CB-There is a diary, as a matter of fact there are six copies of the diary, we have one of them. The diary was written by Rev. Raymond Bishop, who was involved with the exorcism. He took notes the other priests gave him and wrote them down everyday in the diary. The diary was hidden by the priest and discovered in a sealed room. The diary was hidden to make sure it wouldn't fall into the wrong hands. The truth was being hidden to protect it. CB-The story that William Blatty and William Friedken told in 'The Exorcist' is based on a true story. What we did was look into the real story. We filmed at the real places where this horrible incident happened. We talked to people involved. A family member of the boy, (the movie's fictional possessed child was a girl,) and we talked to many of the real people involved in this case. TK-Who did you speak to? CB-We spoke to everyone we could. We talked to the great grand niece of Father Bowdern. (Father Bowdern is the the priest played by Max Von Sydow in 'The Exorcist'. Bowdern performed the exorcism along with fellow Jesuit priest Walter Halloran.) We talked to some witnesses from the Asylums and also the owners of the house where the boy and his family lived. The boy who is now 74 years old doesn't talk to anyone about this incident. TK-Your films always have vast paranormal investigations. What locations were investigated for your film? CB-We were the only people to ever go into the real house where the boy lived. We investigated the hospital where the exorcism was performed and a few other asylums where the boy reportedly had stayed. The evidence we have for the film is amazing. This film is our best so far. TK-Which of your past films is your favorite? CB-(laughing) I like them all. Finding Waverly was like finding the Titanic in the middle of the desert. Spooked is a documentary about Waverly Hills Sanatorium. Waverly is a scary place.I felt it was our moral duty to do 'Children of the Grave'. This is the story of hundreds of child who were killed. Imagine today when one child goes missing. 'Children' tells about the hundreds. We heard them and saw them. The photo we had that was taken on 'Zombie Road' is chilling, to see all of those spirits looking down at us. When you walk down 'Zombie Road' you feel like you're never coming back...ever. 'The Possessed' is a really good ghost story. It is the first documented case of possession and reincarnation. Every show has a different energy and power. TK-You were just at QueenCon, how was that? CB-I don't find the Queen Mary to be a very positive place. The con was good, but Long Beach makes the Queen Mary Cheesy. TK-What's coming up for the Booths? CB-We have a new film coming soon called 'Soul Catcher' based on a true story. Part of the film was filmed at Lemp Mansion, which is very active. There was a boy who was kept in the attic . He was known as the 'monkey faced boy'. He was disfigured due to down syndrome. People see his spirit in a window sometime. We found a young boy with a disability to play this young boy so we could capture the real emotions. We had Native American psychics with us as we investigated the house. A mist appeared above the head of one of the psychics. It formed a face...it pulled together and looked like a face with a mask or a bag on it, this was caught on film. So, we wanted to tell his story. TK-What do you want your fans to know about you. CB-That we are moral and responsible, we don't go around leading people the wrong way. We tell the truth. It's a lot of hard work, but people should know the truth. People should know how scary the truth really is. I want to thank the Booths for their time, for being the amazing men they are. Check out their website for a great special on a few of their DVDS. Christopher Saint Booth's Facebook page.